Congestion is a frightening specter for users of large urban vehicle. GM also offers a solution with 2 passenger cars through this unique. 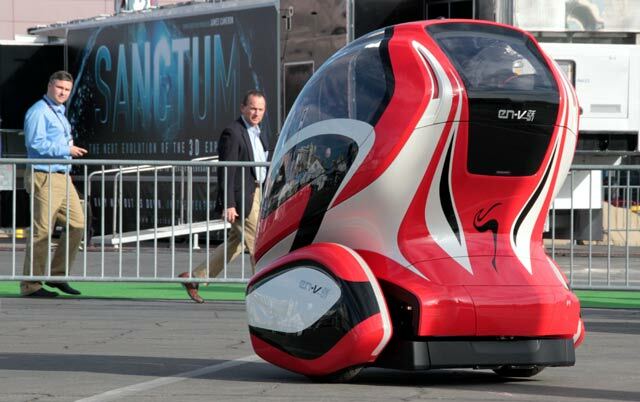 A concept car that is EN-V on display at the Las Vegas Convention Center. EN-V is a manifestation of a dream for GM vehicles in the future are connected to each other. Personal transport equipment already has advanced features that can make his own parked car and came over to users automatically using sophisticated mobile phone.